Stand Up Paddleboard: A Hawaiian offshoot of surfing. SUPs are popular for outdoor recreation, fitness, racing, surfing, and yoga. 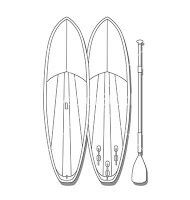 A single handed one-design dinghy, the optimist is one of the most widely used starting platforms for young sailors. The boat operates on a simple rig that is designed to allow the sailor to easily control and modify inputs so that mastery of the sport becomes attainable. 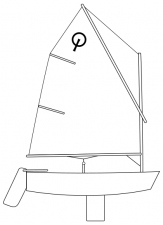 A single handed youth sailboat, the open BIC is a fun and relatively easy sailing platform. As a one design class, this sailboat is also internationally recognized. An internationally recognized one-design class, the laser is a high performance and highly competitive sailing platform. Top physical fitness and intermediate to advanced skill is required to be successful during competition. A highly competitive one-design class boat that provides performance as well as an excellent platform for sailors to advance their skills from beginner to advanced levels. The 420 is one of the most widely used boats for competition at most high schools, colleges and clubs throughout America. An internationally recognized one design keelboat. 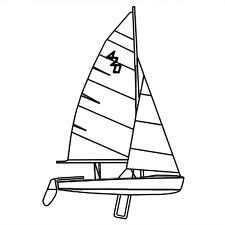 The J-24 is widely used for cruising, day sailing, as well as one design and handicap racing.